UFC on FOX 22 Predictions: Will PVZ Keep Rising? The UFC returns with their second-to-last card of the year with tomorrow night’s (Sat., December 17, 2016) UFC on FOX 22 from Golden 1 Center in Sacramento, California. While it may not be receiving the attention of Ronda Rousey’s long-awaited return in the main event of UFC 207 on December 30, UFC on FOX still presents a packed main card featuring the potential rise of two women’s strawweight stars, two more young welterweight talents, the final bout of longtime top contender Urijah Faber, and an opening bout set to feature all-out fireworks between Alan Jouban and Mike Perry. All in all, it’s set to be an action-packed night that sets the stage for the massive curtain-closer on what has been a groundbreaking year for the sport of MMA. Find out whom we picked to win the main and co-main below. This is a bout that’s perfect for a FOX card, as either VanZant or Waterson will be made into one of MMA’s major future stars in front of a large audience, and a back-and-forth fight will boost both women’s popularity exponentially. I think ’12 Gauge’ is one of the toughest outs in the 115-pound division, although that can lead her to take too much damage, like in her bout with Rose Namajunas. She showed some flashy knockout ability in her most recent win over Bec Rawlings, yet the victory masked some deficiencies in her game. 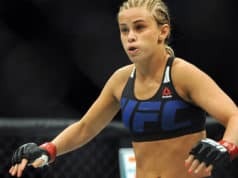 It’s true Waterson has the experience edge on VanZant overall, however, “The Karate Hottie” still has much to prove after only UFC win over Angela Magana in July 2015. Injuries seem to be the only thing holding the former Invicta champion from rapidly climbing the rankings, and she clearly has all the tools to do just that. While she needs to shake the rust of only two fights in over two years, I think Waterson has the fight smarts and well-rounded technique to outlast the brute assault of ’12 Gauge.’ Waterson by unanimous decision. In this strawweight main event, I have to say I really like Paige VanZant’s chances. She’s really starting to grow as a fighter, and what we saw in her last fight was nothing short of incredible. She’s proved to be durable in the past too. Michelle Waterson undoubtedly has her chops in the striking, and has showed rapid improvement in the submission game too. It’s more of a gut pick for me, and I’m taking PVZ by decision. A key factor that went into my prediction for this fight was Waterson’s injuries and lengthy layoff, as she hasn’t competed since July 2015, while VanZant has competed three times during that time. I feel as if “The Karate Hottie” is undoubtedly the more polished striker and she comes from one of the best camps in the world in Jackson’s MMA. I simply feel as if “12 Gauge” will look to push the pace and attempt to out grapple Waterson, which is why I see her securing a victory in her adopted home of Sacramento. VanZant by unanimous decision. It seems like there’s a trend for this card, as the co-main event also features a match between two highly marketable potential future stars. 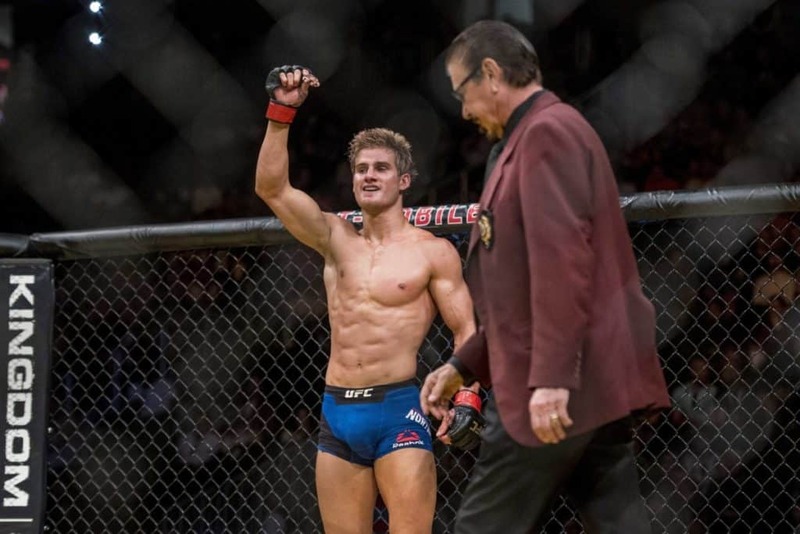 Northcutt has been groomed to be just that ever since he cam into the UFC on the heels of his discovery n Dana White’s “Looking For A Fight,” and Gall was famously CM Punk’s first opponent in the UFC, decimating the former WWE champ with a brutal first-round submission at September’s UFC 203. Each fighter will become a sudden big name in the incredibly talented welterweight division, but they won’t necessarily quite be contenders just yet. Regardless, I see Northcutt possessing a distinct edge in the striking here, because even though Gall often talks about his striking, he’s a grappler at heart. That are is Northcutt’s one weakness we’ve seen, with his only UFC loss coming to an arm-triangle choke from Bryan Barberena that seemed barely locked in, also at welterweight. I believe Northcutt could end this with a vicious flurry, but ultimately Gall will be too smart to get tagged and take the fight to the ground for a submission attempt. Gall by second round submission. Sage Northcutt’s only loss in the UFC so far came in the welterweight division, so it’s surprising to see him move up from lightweight again here. Mickey Gall, well we’ve really only seen him against CM Punk, which doesn’t say much in terms of how he’ll fare against someone who can fight. 3-0 as a professional, I can’t help but think Northcutt is a little too much to chew at this stage in Gall’s career. Both men are very likeable, but I expect a war in this bout. Northcutt with a grizzly third round TKO. In my opinion, this fight could go either way. Both fighters are rising talents and both have a chance to win this fight. Gall likely has the grappling advantage and I wouldn’t be surprised to see him tap Northcutt out. Gall will also be the bigger man, although “Super Sage” will undoubtedly have the striking advantage. I expect to see Northcutt stick and move and if he can keep the fight standing, I see him taking this one. Northcutt via unanimous decision. NEXT: UFC 207 Predictions: Will Ronda Rousey Silence The Doubters?